Churches Together in Bromsgrove (or more commonly known as CTiB) is an association of all the churches in Bromsgrove. CTiB hosts various projects and initiatives, most of which are now run by their own management teams, with their own budgets and volunteers. Details of the projects and initiatives under the banner of CTiB can be found on this website. By joining together in the name of Jesus we have found benefits in terms of cost, volunteers and utilising everybody’s strengths to achieve more. For more information about each of our projects, please click the links below. Are you new to Bromsgrove; moving to the area; new to Christianity or do you want to see more of Christ in your life? We work together to engage our community and revive lives with the love of Jesus. To find a church that will suit you click here. 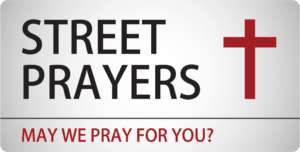 On the fourth Saturday of the month Street Prayers have a stall at the market on the High Street from 9.30am – 2.30pm. They offer prayers for anyone who is in need. 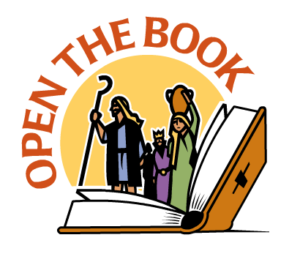 “Open the Book” offers first schools the opportunity to have Biblical stories acted out during assembly each week. Street Pastors is a Christian response to the needs in local communities caused by crime, anti-social behaviour and vulnerability for those who’ve been out at bars and clubs late at night.